Well what an absent blogger I have been. Somehow Christmas once again sees me chasing my tail and I am still trying to finish cards for my craft group on Thursday and my DB is trying to use my work desk to wrap presents. 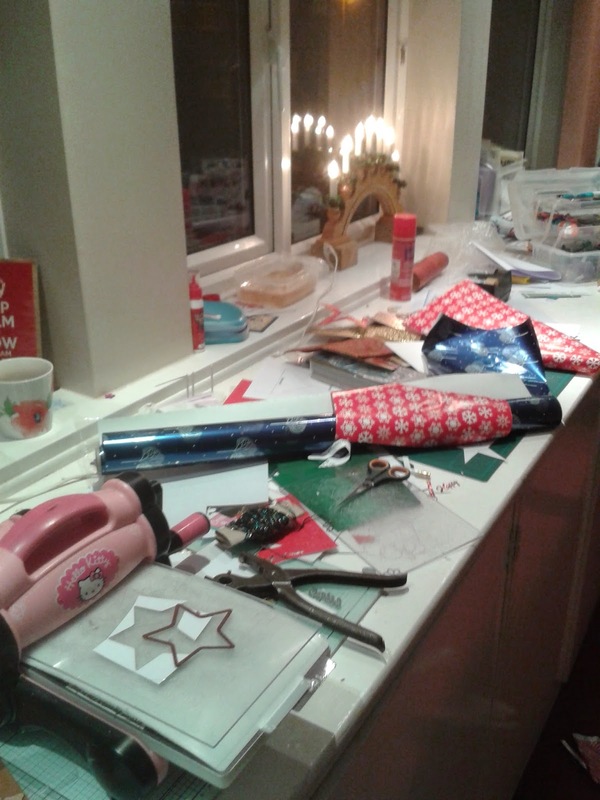 So this picture of my, not very exciting desk, has wrapping paper and card making bits all together and I used the star cutter to make tags. 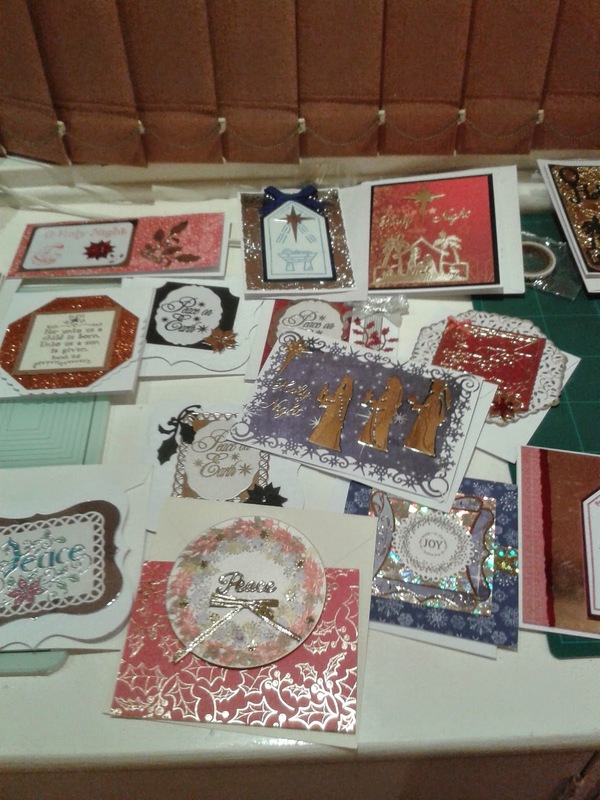 However to prove that I do ocassionally make cards, I will show you the pictures I took two weeks ago to post and never found the time. and I hope I will have time to be more 'regular' in 2015. Hihi, my cats used to do that too - so funny! 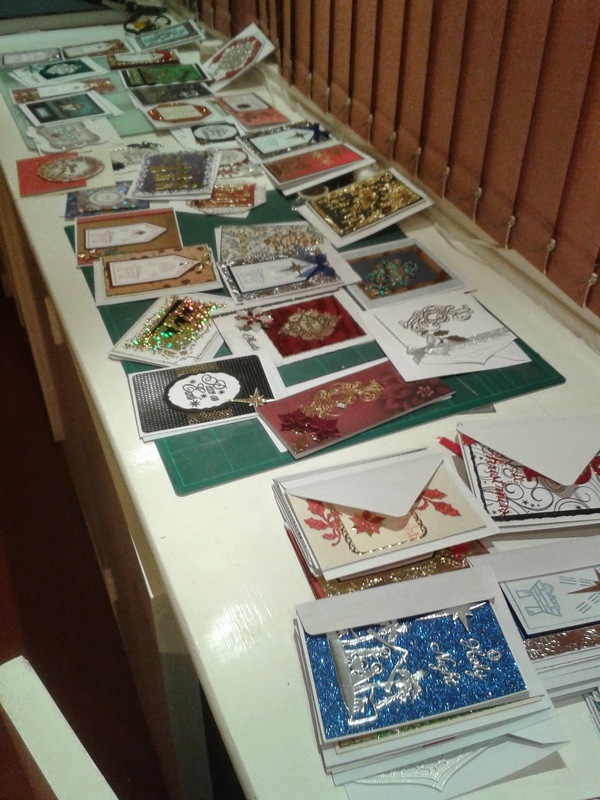 Your christmas cards are just awesome, you have been very busy!! 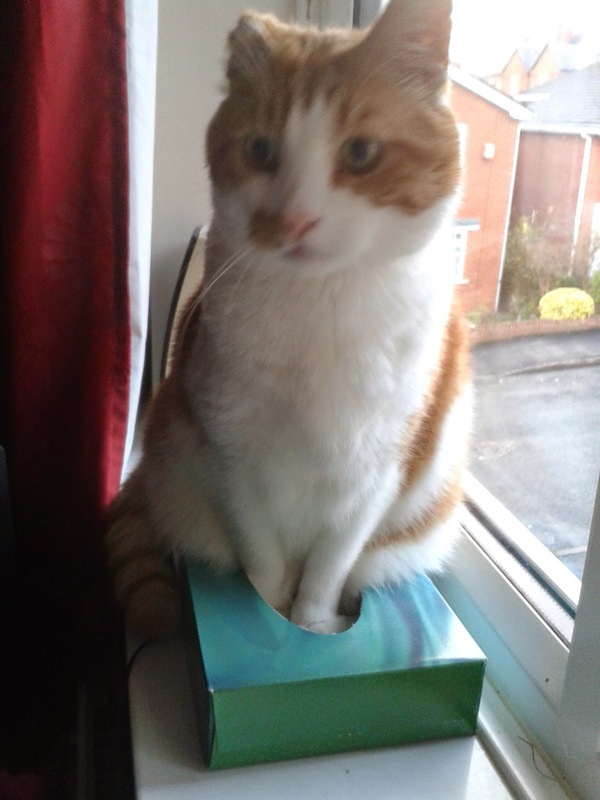 Instead of a cat in the hat you have a cat in the tissue box! Very cute!! That's a lot of cards - and all different! Good for you. I have cards from one of my photos but have yet to mail them out. I should write Happy New Year instead of Merry Christmas! yeah for max. the cards are lovely. Happy holidays and all the best in 2015. 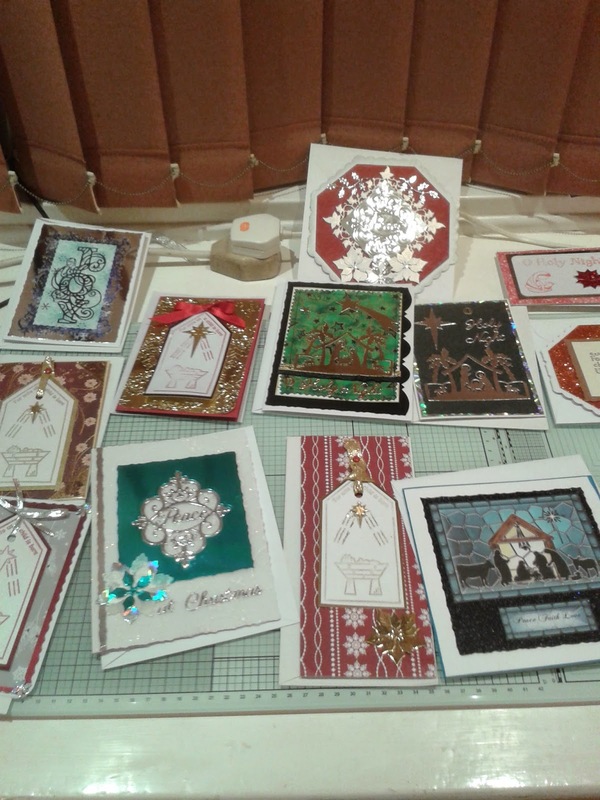 What lovely cards! You have been working very hard. What is it about cats and boxes? If they see one they have to get in it, whether they realistically fit in it or not. So funny! What a lot of cards! Well done you. As for your cat....how funny. love the Max photo how cute is he? ?